Key Biscayne is a 5 mile long barrier island which can be reached via the Rickenbacker Causeway over beautiful Biscayne Bay. 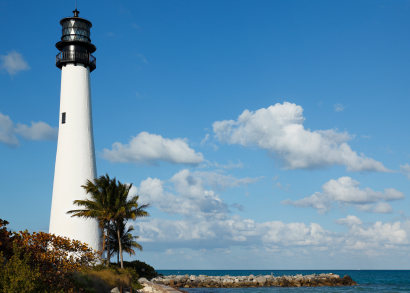 Key Biscayne has miles of golden sandy beaches and quaint quiet neighborhoods. It is a picturesque blend of relaxed island living combined with luxurious homes, hotels and condominiums. “The Key” offers a village like atmosphere where residents use golf carts to get around the island. In the heart of Key Biscayne lies the Village Green, a 9.5 acre park which is used for children (and adults!) soccer games, baseball games, community events and gatherings. Key Biscayne real estate has increased in value significantly over the past few years. Buyers appreciate its prime waterfront location and are willing to pay a premium for it.